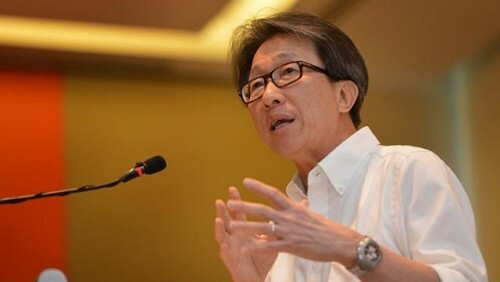 SINGAPORE - A higher re-employment age and a more progressive wage ladder are among ways to improve Singapore's workforce, labour chief Lim Swee Say said on Saturday in his National Day message to unionists. "In Singapore, (the) unemployment rate is low, employment rates for women and mature workers are going up and wages are rising faster than inflation," said Mr Lim, describing what he shared with international union leaders at a conference in June. "I hope the next time when we share our Singapore Story with tripartite leaders of other countries, it will be an even better story. "Not just low unemployment and higher wages but also higher re-employment age for mature workers, a more progressive wage ladder for lower wage workers, a more capable and productive workforce, and a more inclusive and gracious society that accepts, appreciates and respects one another." Currently, bosses must offer healthy workers who have performed satisfactorily re-employment from the age of 62 to 65, or a one-off payment, but calls have been made to raise the ceiling to 67. Mr Lim, who is secretary-general of the National Trades Union Congress and Minister in the Prime Minister's Office, said he believes only a minority of countries will succeed in creating enough jobs, both in number and quality, and he wants Singapore to be one of them.